Longyer people based on the domestic market, and actively expand overseas market. The company type XHM250 Hydraulic Upsetting Machine is exported to Philippines. XHM250 type hydraulic upsetting machine is mainly used in pumping rod for processing range: Phi 19, Phi 22, Phi 25, phi 29 specifications; hollow pumping rod for processing range: Phi 32, Phi 34, Phi 36, Phi 38, Phi 42, Phi Phi Phi 80 20- 48; processing of round steel and 42- the 114 kinds of tubing, small steel rod and tubing connector products of various specifications. The XHM250 upsetting machine adopts the reinforced cast steel fuselage. The stiffness and stability of the equipment are greatly improved. 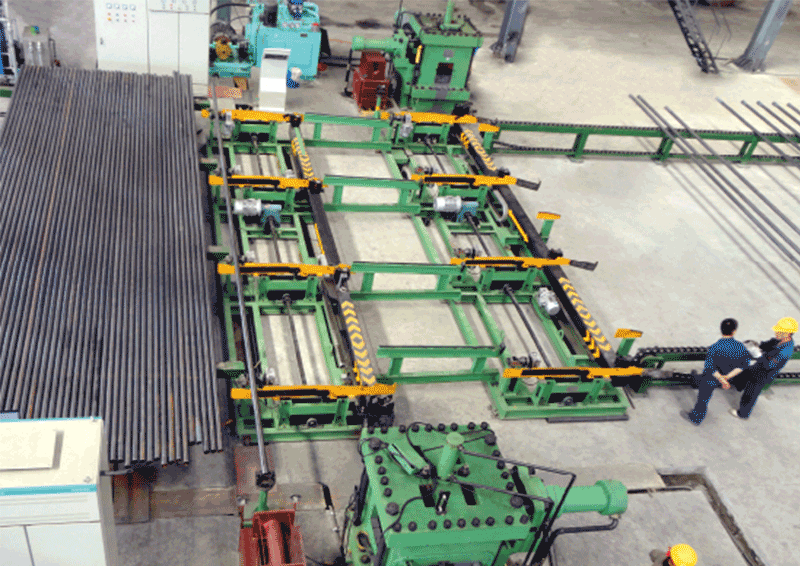 The upsetting and extruding cylinder is guided by four columns, with high accuracy and strong anti bias load capacity, so as to achieve zero scrap and satisfy the customers. Two XHM250 type hydraulic upsetting machine and automatic feeding mechanism intelligent linkage, every 40 seconds processing one end, each hour processing 90 tubing, daily production capacity of 60 tons. 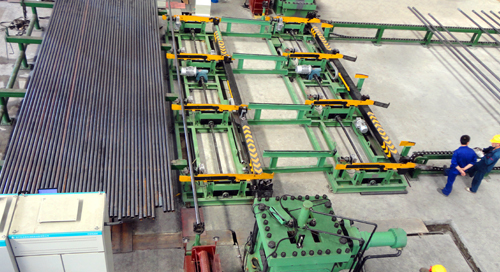 Full automation, the work efficiency is very high, more is to let customers feel surprised. In Longyuan forging machine and automatic feeding device, perfect cooperation, ensure customer processing are completed on time, three months of processing period to allow customers upsetter to Longyuan more confidence, and said that the follow-up will also continue to purchase.